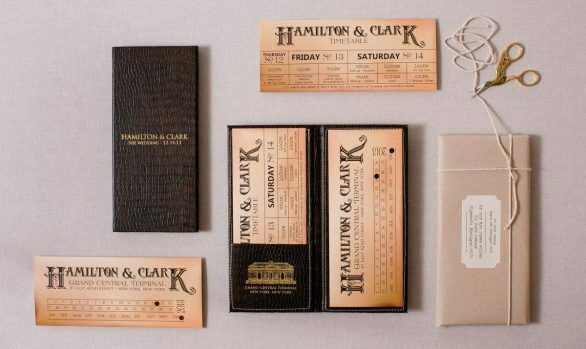 Art deco wedding invitations will always be timeless and a classic. It is our favorite era – the clean lines, bold fonts and the GOLD! 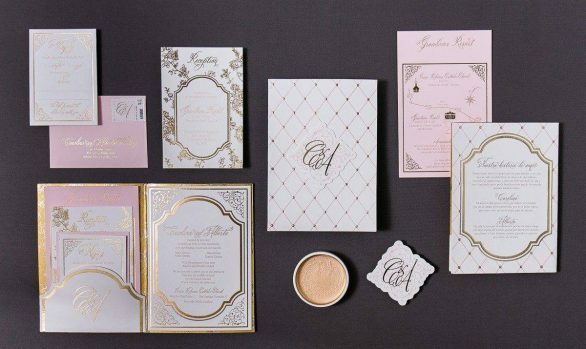 Rebecca’s invitations were designed with a scallop pattern and a bold font layout of their names and date. 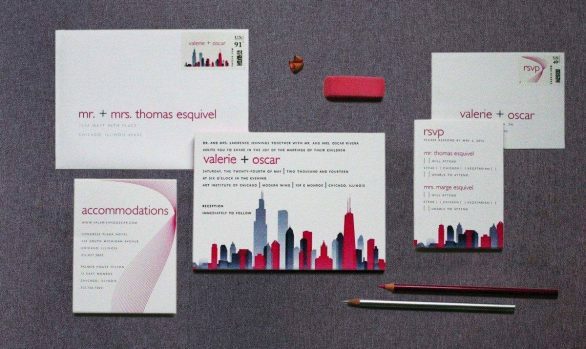 Their families had a connection to the theater and we designed the response cards to look like a ticket as a nod to that. The art deco reception card also had the fan pattern and we printed the entire suite with gold foil. Gold pocketfold invitations were custom cut and a raised seal with their monogram was place on the front. We were thankful to have also started the process with art deco save the dates. 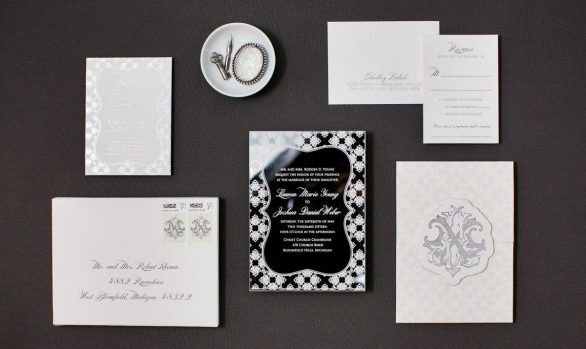 Black save the dates with art deco design and gold foil printing set the perfect tone for the invitations to follow.